Hey buddy will you please get the total fee structure of NIT Rourkela and please also get some information about it? 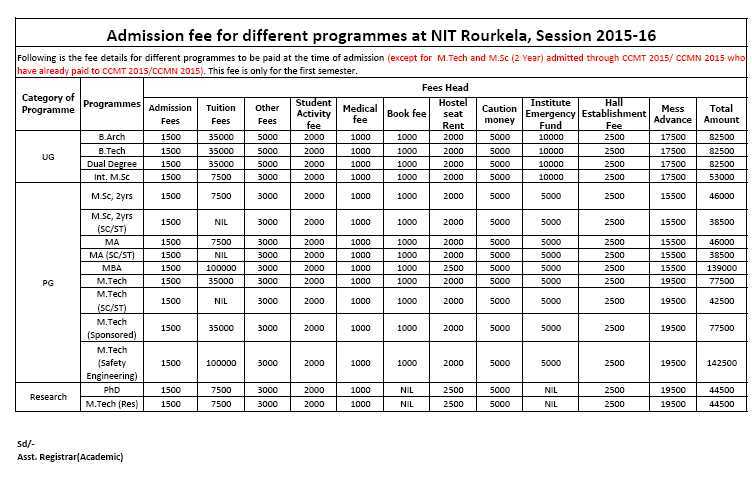 As per your concern I will help you here to get the information about the Nit Rourkela and will also get the total fee structure so that you can have idea about it. 5 Year Integrated M.Sc. ; B.Tech.